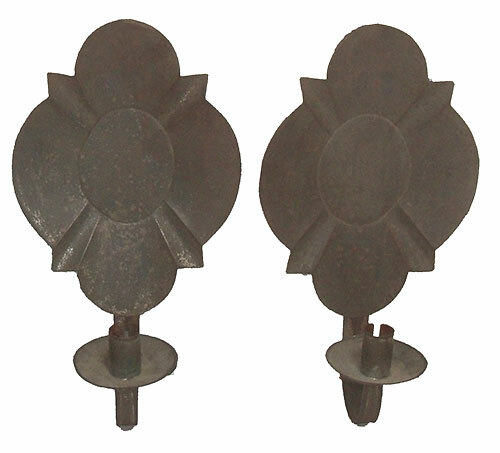 Presented here, a PAIR OF SHAPED AND FORMED TIN SCONCES with single candle socket. Nice early construction using wrapped reinforced wire within the supporting arms. Very unusual form and beautiful patina. Excellent condition.